1. 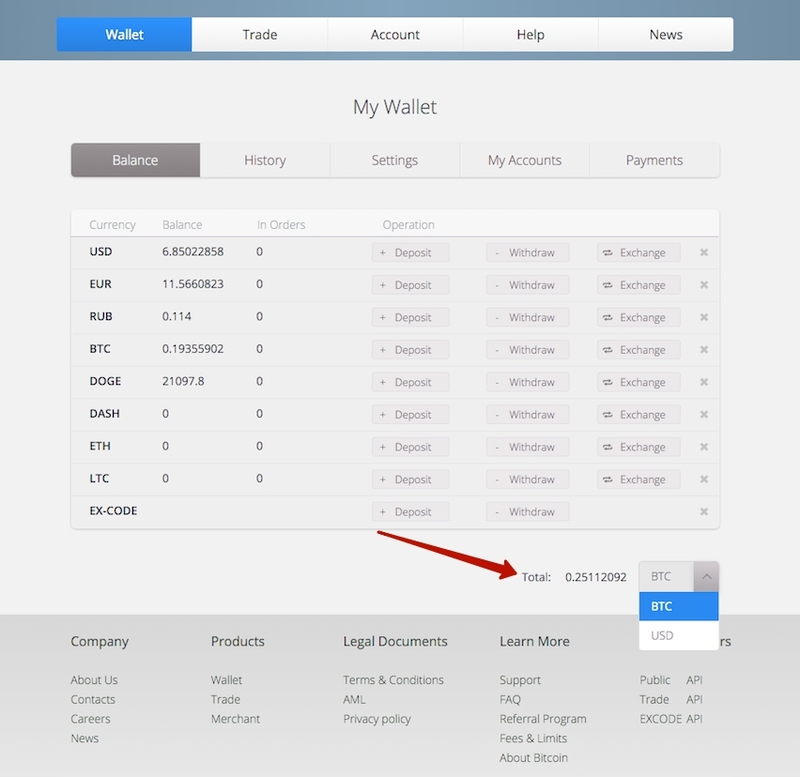 In the section “Wallet” >“Balance” it is now possible to see total amount of all your funds converted into bitcoins or dollars on your choice. All currencies are converted at the current exchange rate. 2. 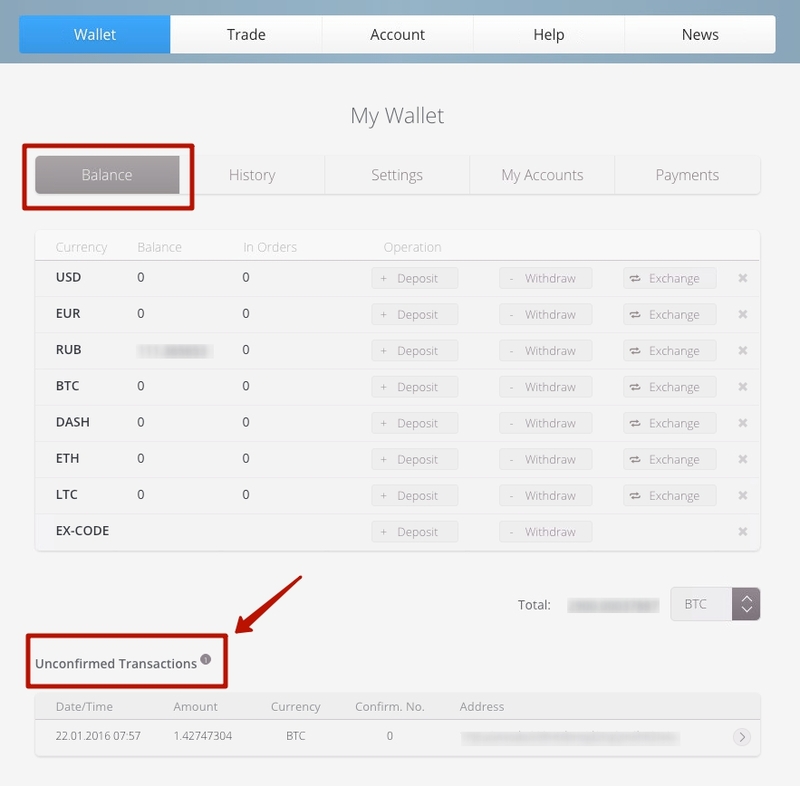 In the section “Wallet” > “Balance” you can now see unconfirmed transactions – transactions that have less than six confirmations. 3. In the menu “Account” we have replaced “Security” section by more extended “Settings” sections. Security is a component of “Settings” now. 4. In the menu “Account” > “Settings” new tab “General” has been added. Here you can turn on trade alerts to your e-mail. 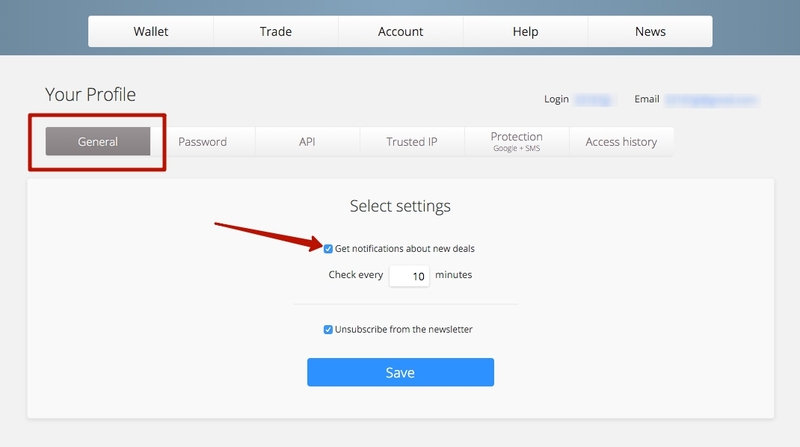 You need to check the box “Receive trade alerts”, set scan interval (minimum 10 min) and receive trade alerts to you e-mail address. Maximum quantity – last 100 trades. Example: you have set interval – 10 minutes. 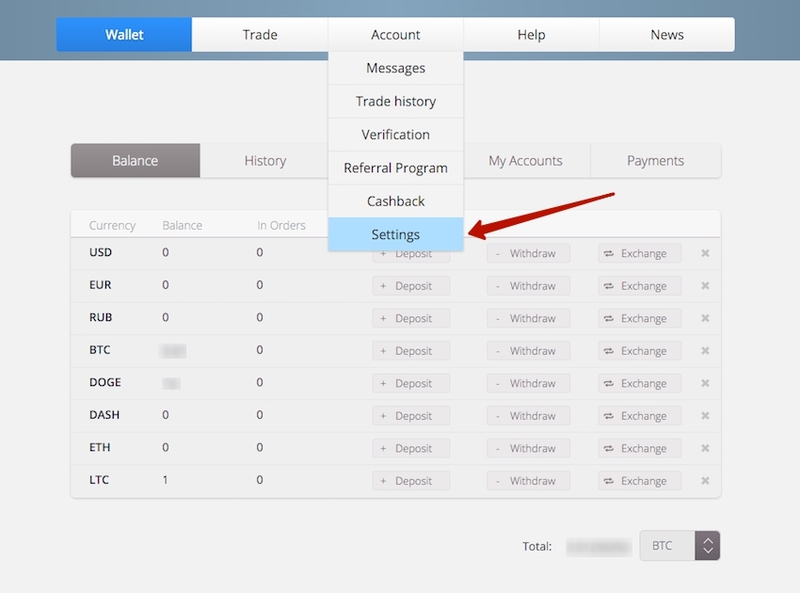 While making first transaction, after setting the interval you will immediately receive notification on the trade to your e-mail address. Then during next 10 minutes you made 4 more transactions. On the expiry of chosen interval (in this example – 10 minutes) you will receive notification on these trades to your e-mail address. If you don’t make any transactions during next 10 minutes – there will be no notification. 5. 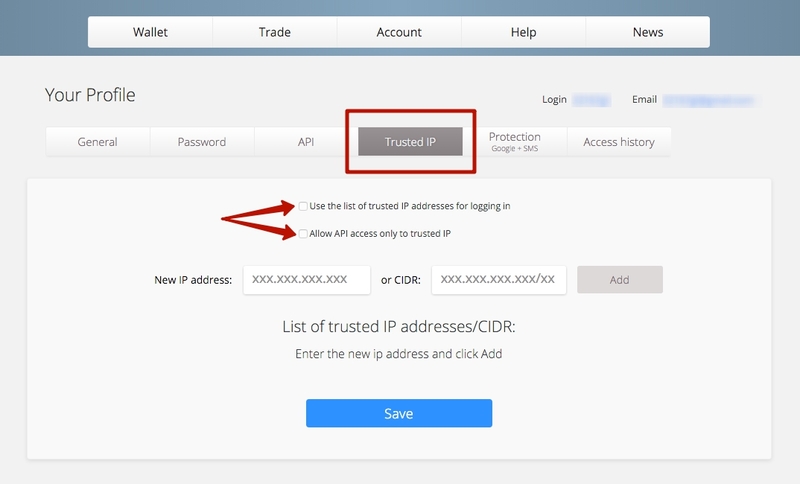 Now you can use trusted IP for website login separately from API, so now you can protect only website login or only API. (Account > Settings > Trusted IP). 6. Now it is possible to see all your sessions on all devices and also to delete sessions (Account > Settings > Access history). After deletion of session you will be “thrown out” the website on the indicated device.